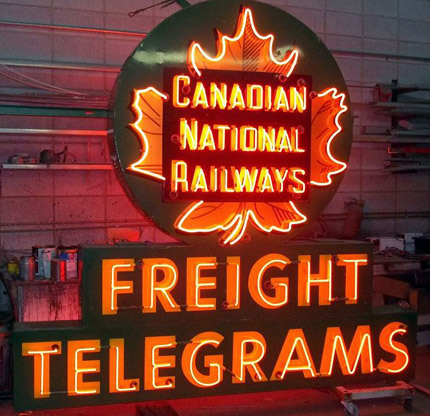 The Canadian National Railways sign was placed on CNR buildings in various cities to signify the Freight and Telegraph services that the CNR provided. The one we have was not on a building in Edmonton, but was salvaged from a site in Calgary. It is certainly typical of the railway signage used in larger cities like Edmonton, Calgary, Saskatoon and Winnipeg.